I planted some lantana bushes back in 2009 and they have come back year after year. Though technically an annual plant, our climate is warm enough for them to survive the winter. They are always the last plants to in our yard to sprout up each spring, and I am always so glad to see them reappear. They attract butterflies like you wouldn’t believe! 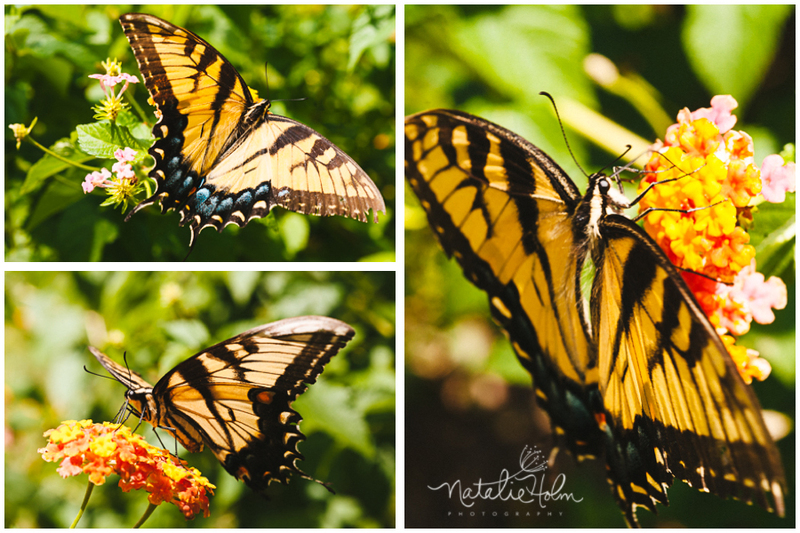 It’s not uncommon to see a couple dozen butterflies fluttering about, landing on the yellow-orangish petals. Jeremiah loves running about and chasing them. It’s just one of those things that makes this mama’s heart feel full to overflowing.